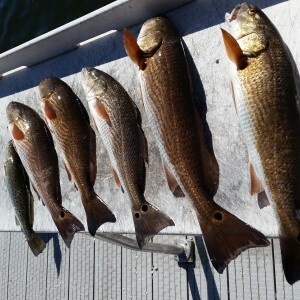 ← REDFISH, SNOOK, TROUT FALL FISHING IN HIGH GEAR!!!! Captain John Fischbach Of Absolute Florida Flats Fishing , a professional saltwater sportfishing guide service in Tarpon Springs Florida, also serving New Port Richey, Hudson, Clearwater Beach, Dunedin and all of west central Florida’s beautiful Gulf coast had this pleasurable experiance…His name, Mathew– His current job, obtaining a regular school education– his age, 9.. that’s right .. 9 years old. 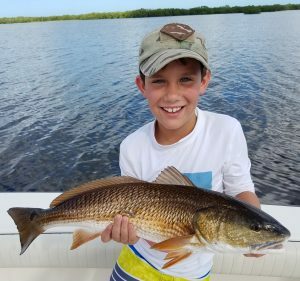 What he does– SLAY REDFISH AND SNOOK LIKE A SEASONED PRO!!!!! This was a very generous gift to Mathew from his very lovely parents which I had the great pleasure of meeting when I greeted them at the dock at Anclote Village Marina. I honestly did not think I was going to witness what I did…. Mathew- ALL FISH parents combined-ZERO. That’s right ZERO. Fish gods work in mysterious ways, this was the young mans’ birthday present, a 1/2 day fishing charter. There was no whining when the rod was almost pulled from his hands. A 27″ Redfish, 12 pounds- it was war. MATHEW WON!! This young man is someone to watch out for, he’s got skills and listens closely under pressure. 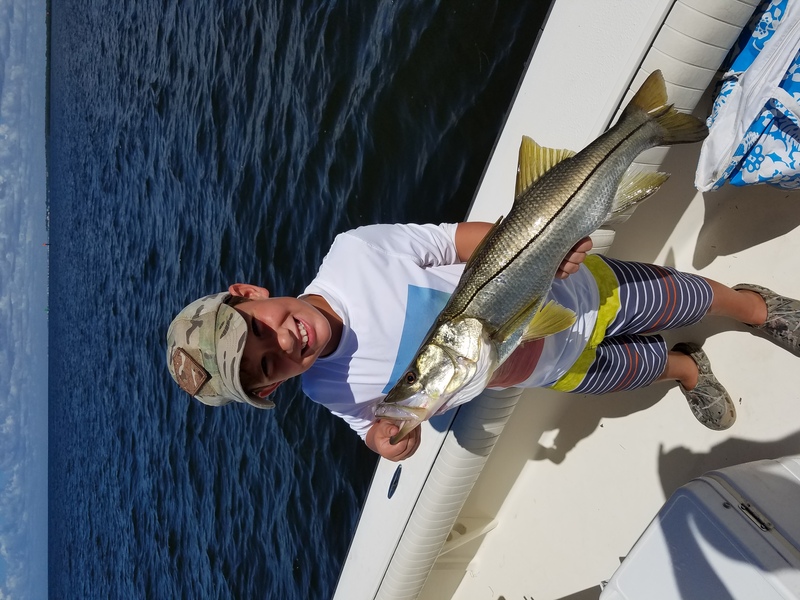 Snook up to 32″ was not a problem for him either. 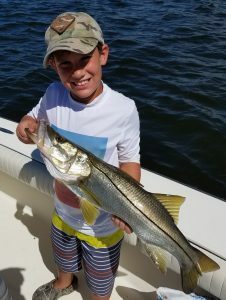 YOU’RE NEVER TOO YOUNG OR OLD WITH A PROFESSIONAL TARPON SPRINGS FISHING GUIDE LIKE CAPTAIN JOHN!! PATIENCE, HOPE IN THE FUTRE, THE KIDS AND RESPECT FOR THE MATURE PEOPLE ON MY BOATS ARE #1 TO ME!!!! This entry was posted in Boca Grande Giant Tarpon Fishing Charters, Boca Grande Tarpon Fishing Charters, Great Fall Fishing Charters, Gulf Coast Tarpon Fishing, Inshore Flats Fishing Charters, New Port Richey fishing charter, New Port Richey Fishing guide, New Port Richey flats fishing charter, Red-fish fishing charters, snook fishing charters, Snook Fishing Guide, Spotted Trout Fishing, Tarpon Fishing Charters, tarpon springs fishing guide, Tarpon Springs Flats Fishing Charter, West Cental Florida Gulf Coast inshore fishing, West Coast Fl. 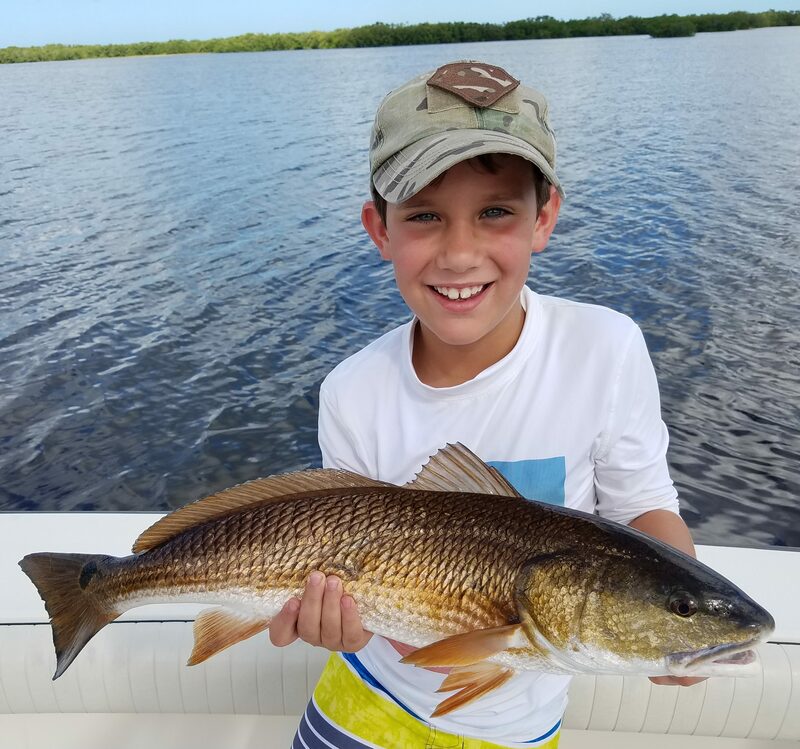 Trout Fishing and tagged fishing charter, fishing guide, fishing trips, Fl.Gulf Coast Trout fishing, florida flats fishing, nearshore fishing, Nearshore fishing charters, New Port Richey fishing charter, Red-fishing Charters, snook fishing charters, Spotted Trout fishing charter, Tarpon Fishing Fl. Gulf Coast, Tarpon Springs fishing charter, Tarpon Springs Snook fishing, West Central Florida Gulf Coast Guide Service. Bookmark the permalink.